Thank you so much for sharing In Memoriam - of course I'm familiar with it, for coining "Nature, red in tooth and claw", but I'd completely forgotten about the dinosaur bit at the end! 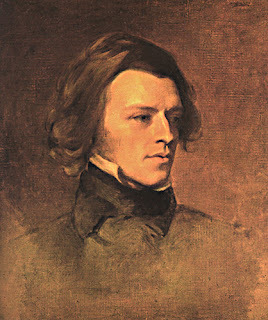 I love Tennyson, so thanks for reminding me of his connection to one of my other passions. I'll have to dig out my collection and read through it again. If you haven't read it already, I recommend Stephen Jay Gould's essay "Bully For Brontosaurus", published in the collection of the same name. He talks about the separate lives that Brontosaurus and Apatosaurus now lead: Brontosaurus is still the ponderous, stupid swamp dweller eaten by Fred and Wilma, whereas Apatosaurus has reaped the benefits of modern palaeontology. 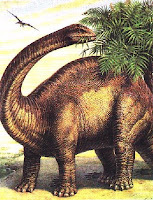 Brontosaurus is an artefact of our initial, now outdated understanding of dinosaurs. Inspired by you, I'm writing on my blog about some of my favourite dinosaur names. There are some crackers!